This is a conversion to ZX Spectrum 48k of my entry for #gbjam 3 (The Legend of Traxtor), and my entry for October in my one game a month challenge. Match 3 or more tiles to destroy them before they reach to your defence line! 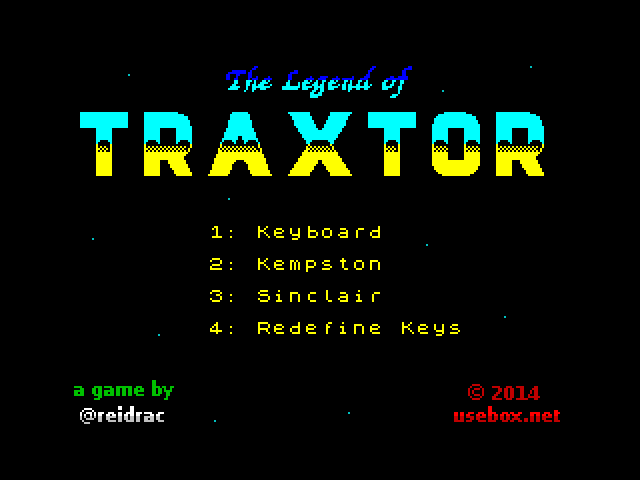 traxtor-zx.zip (.tap & .tzx files inside).